Then, the students read the pages they looked at. As they read, they record the important details in a bulleted list on the front of the foldable. 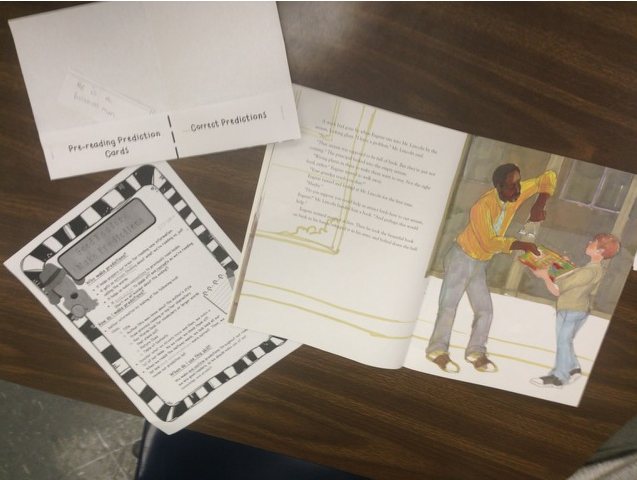 Students continue making predictions for the predetermined section of reading, recording the predictions on the cards provided, and reading to record important information and check predictions. As a post reading response, I had my students use Someboady Wanted But So Then to summarize the story. 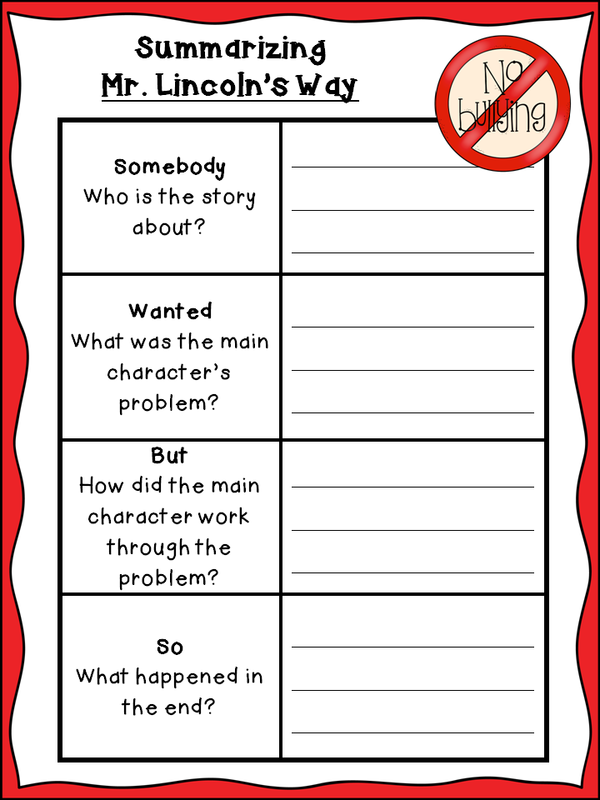 Here's a freebie you might use for the summarizing part. If you'd like the predictions chart and foldable to try DRTA with your own book of choice or Mr. Lincoln's Way, this set is available in my store for $1.50 [here]. Thanks for dropping by and reading today. Whether you are at school with students or enjoying the day off, I hope it's a great day for you. Until next time, happy reading! I love this book and reading about DRTA! Thank you for linking up! I am sorry I didn't exactly follow what you outlined in the linky, Emily. I promise to read the details better next time. Glad you like the post. Mr. Lincoln's Way is an awesome choice. Thanks for sharing your DRTA with us! You're welcome, Wendy! Glad you liked it. I have not read this one. But I am pinning it to my "books to buy" board! Thank you!